Neuroevolution is a technique that has been successfully applied for over three decades in order to optimize certain aspects of neural networks by applying evolutionary algorithms. 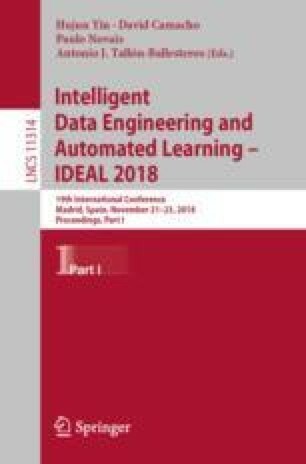 However, only in the recent years, the increase of computational resources has enabled to apply such techniques to deep and convolutional neural networks, where the number of hyperparameters is significantly large. In recent years, deep and convolutional neural networks are outperforming classical machine learning for many different tasks, including computer vision, natural language processing, signal processing, activity recognition, etc. In this context, neuroevolution can be useful since there are no analytic approaches for determining optimal network architectures or hyperparameters, therefore attaining better performance. Moreover, in some cases, committees (also called ensembles) are used, which combine two or more models in order to improve results even more. Neuroevolution can be of particular importance in this case, since evolutionary algorithms evolve a whole population of individuals, making it easy to build ensembles out of models chosen among those in the evolved population. In this paper, we explore the application of genetic algorithms for carrying out model selection in a context of neuroevolution. Thus, the best models will be selected from a population of evolved individuals in order to maximize an overall objective function. This approach is tested using the well-known MNIST database as benchmark, and it obtains results which are highly competitive when compared with the state of the art. This research is supported by the Spanish Ministry of Education, Culture and Sport through FPU fellowship with identifier FPU13/03917.